RTG Slots are the most famous and popular USA online slots. There are almost 200 different RTG slots: 3 reel, 5 reel and their famous Real Series Video Slots (RSVS). Here you can find some of most popular RTG Slots and play some of them for free. At the bottom we added a list of best RTG casinos for real money. When it comes to 5 reel slots, RTG are the market leaders with over 170 online slot machines. If you’ve been playing in USA online casinos during the past few years, you are probably familiar with Aztec’s Treasures, Texan Tycoon, Triple Twister and many others. RTG offer a wide range of themes and features. If 5 reel slots are your favourites- RTG is probably the best choice. RTG offer only a dozen of classic 3 reel slots, but they do have the famous 7s and Stripes, the Three Stooges II and Pharaoh’s Gold slots. RTG have a wide range of progressive jackpots, starting with standalone progressive slots and up to Mega progressive slots, such as Shopping Spree and Jackpot Pinatas jackpots, where the jackpot usually stands above $1,500,000. RTG are a behind in terms of 3D Slots and only recently started adding 3D Slots to their portfolio. There is only one or two real 3D Slot available, the Orc vs Elf slot, which is truly outstanding; and Pirate Isle which can be called semi 3D. Strangely, RTG haven’t launched any additional 3d slots, so if you are looking specifically for 3D Slot machines to play, we recommend you try one of BetSoft online casinos. The latest addition to RTG casinos. RTG were stack with 3 and 5 reel slots for a very long time. I doubted they will ever do something different. Well…They did. There is only one 6 reel slot available at the moment, but seems that more are soon to come. RTG slots are available both in download and no download versions. For PC/laptop we recommend using the download versions – that way you can enjoy full variety of RTG games. RTG slots are compatible on Mac and mobile (iOS) using the flash version, but unfortunately not available on Android. 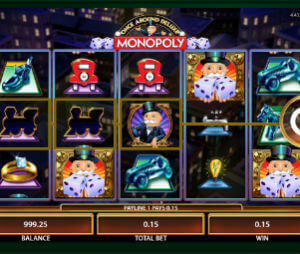 They variety of mobile slots is solid, 30+ slots, and new mobile slots are added every few months. RTG Slots became famous in 2006, when Playtech, Microgaming and other known slot providers left the US market due to UIGEA. RTG casinos where in the right place in the right time and quickly became one of the most influential companies on the US casino market, second only to VegasTech slots. In 2012, VegasTech casinos, such as Online Vegas, Go casino and Millionaire casino, unexpectedly closed their doors and left the stage for RTG. Online casinos market is extremely competitive and other software providers, such as Rival and BetSoft casinos, took advantage of this opportunity and entered the market with new slots and features. Currently, RTG are still the most popular online casinos for US players, but they are no longer a monopoly they used to be 2 years ago.